Writer Anne Taylor Fleming recently interviewed Frank Gehry for Los Angeles Magazine, getting a glimpse into what the architect thinks about Los Angeles and the meaning of his work there. 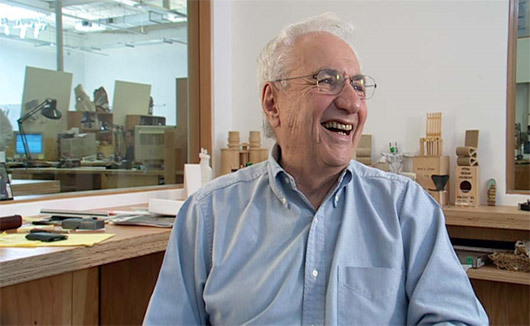 Gehry tells Fleming about some of the missed planning and architectural opportunities that continue to challenge the city, including the push to make a bona fide downtown, which he believes stems from clinging to old ideas about what a city should be. For Gehry, a Los Angeles version of a “center” is something like Wilshire Boulevard. “I have always thought that L.A. is a motor city that developed linear downtowns,” he noted. It’s for this reason he feels Disney Hall would have been better positioned in Westwood and the Cathedral of Our Lady of the Angels near MacArthur Park.